Many people are aware that climbing a mountain is no easy feat, especially the most iconic peak in the world, Mount Everest. Ofen it is presumed that you’ll need to be an expert climber to simply just make it on the mountain itself. Can a humble hiker make it, or is it only a place for experts? If you want to climb Everest specifically, you’re going to need some solid climbing experience to help get you to the top. You’ll need to have experience using crampons (the spiky shoe attachments) and weeks worth of climbing experience on challenging ascents, up to about 8,000 meters. It will probably take around three years to gain enough experience to feel confident about your chances on Everest. You’ll also need good levels of cardio training as, due to the altitude, the air becomes very thin and many people require the use of oxygen to complete their journey to the summit. 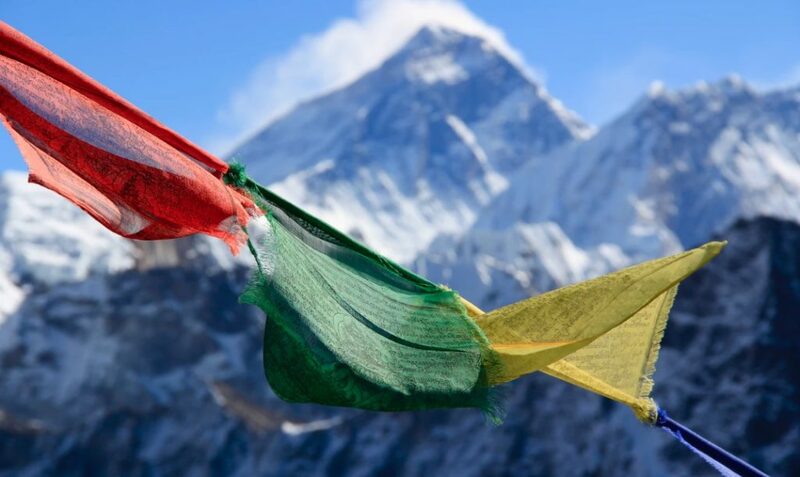 Mount Everest is just one peak in a region of peaks around Nepal, Tibet, and China. While Everest may be the end goal, there are many climbs nearby that will give you great experience for climbing the beast itself. In Nepal, you can get yourself onto several peaks that are ideal for trekking which won’t require much climbing skill. As an added bonus there are not the huge access fees on these peaks as there are with getting onto Mount Everest. We recommend heading to Mera Peak, Lobuche Peak, and Island peak as Everest alternatives, or warm-ups. 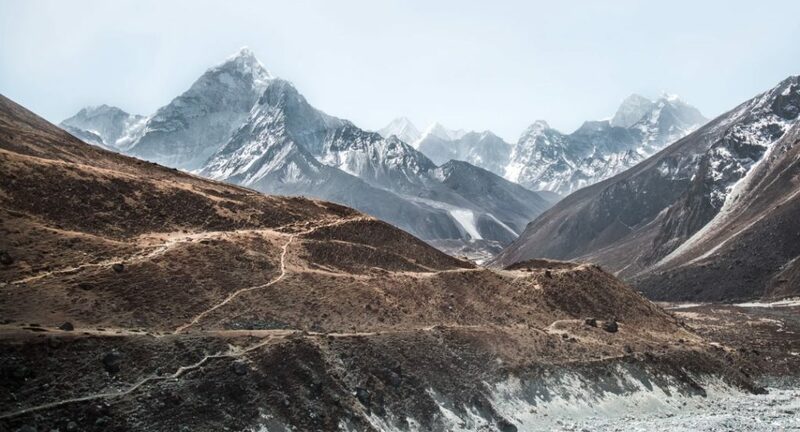 If you’re determined to get onto Everest but don’t want to put in the time learning to climb then, you can get to Everest Base Camp which is a common hiking trail. They are substantial trips, however, and can last between 7 and 14 days. From the Nepal side of the mountain, you will find a variety of hikes that are challenging and, importantly, beautiful and diverse routes. If you want to get to Base Camp on an easier route, you can head there via Tibet, which is the north side of the mountain. China has actually built a road to Base Camp from here, but that doesn’t mean it will be plain sailing. You’ll still take almost a week getting there as your body will have to gradually acclimatize to the altitude that keeps on rising the closer to Base Camp you get. It would be a shame to visit the most iconic peak in the world and miss out on some of the cultures that reside there. The Sherpa community live in nearby villages in Nepal, and if you take a trip up the mountain, you are likely to have the pleasure of their company as they help to guide you up the mountain. Often they will invite you to their village once you’ve managed to navigate your way up and down Everest successfully. Visiting their home towns and villages is an incredible experience, and they are so welcoming you’ll feel like you’re a part of the family. Just a part of the family that doesn’t speak the same language! So yes, you can visit Everest. Even if you aren’t the strongest climber, you’ll find some treks and hikes that should help to prepare you for a climb in the future. Or you can simply enjoy the approach to Base Camp and look up at the magnificent mountain from below.